I finally took a few minutes to tweak the Legotron to make it focus to infinity. This may not sound like much but it really opens up what I can shoot with this camera. Turns out I was really close to it being to infinity already, but I had to rebuild the back side of the inner chamber in order to get that much closer to the film plane. 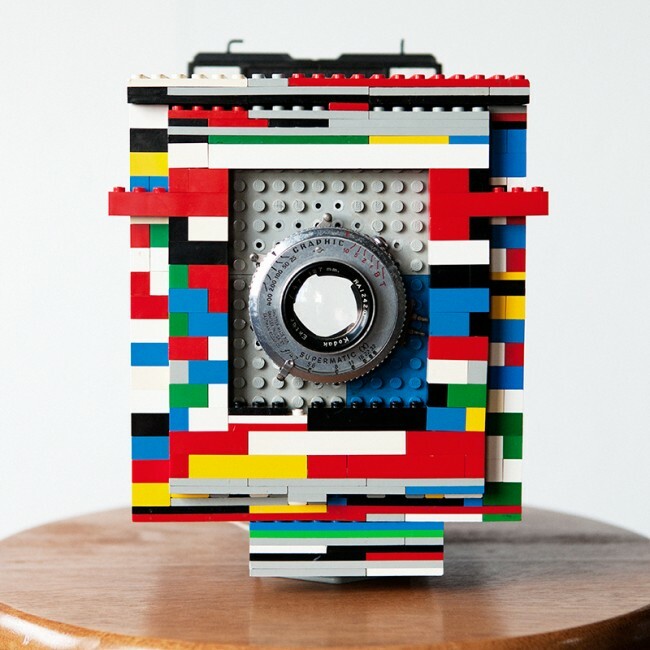 I'm shooting a 127mm lens which translates to exactly 5 inches which translates to exactly 16 LEGO units (dots). I rebuilt the inner box to be shorter and let it line up flush with the outer box...which is 16 dots deep (to the ground glass). I added little wings on each side to help bring the focus out from infinity and also notice this shot has the camera on the LEGO-based Tripod mount (which is just a bunch of flat pieces crammed together with a paddle drill bit hole in the bottom, then with one of those brass thread adapters screwed into the plastic as hard as I could get it).